Men and women who enjoy reading sacred scripture and who are comfortable speaking to the congregation are encouraged to become Lectors. The Lectors read the first and second readings, announce the intentions of the Universal Prayer and may on occasion recite the Responsorial Psalm. Lectors join in the procession at the beginning and end of Mass. 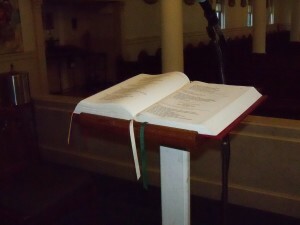 When proceeding to and from the altar, the Lector, wearing approved attire, carries the Lectionary, which is to be slightly elevated. The Lector walks behind the Altar Servers and upon reaching or leaving the altar, the Lector makes a profound bow with the others. 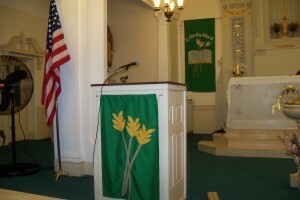 The Lector remains in the sanctuary until the first and second readings are completed and then returns to his/her pew. 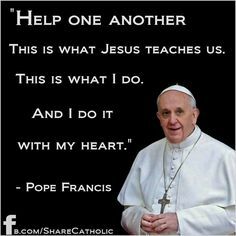 If you are interested in becoming a Lector and have completed the Sacraments of Initiation, enjoy sharing God’s words, and live according to the teachings of the Catholic Church, please contact the Parish Office. Training will be provided.